What a wonderful day for a wedding with such a wonderful couple! 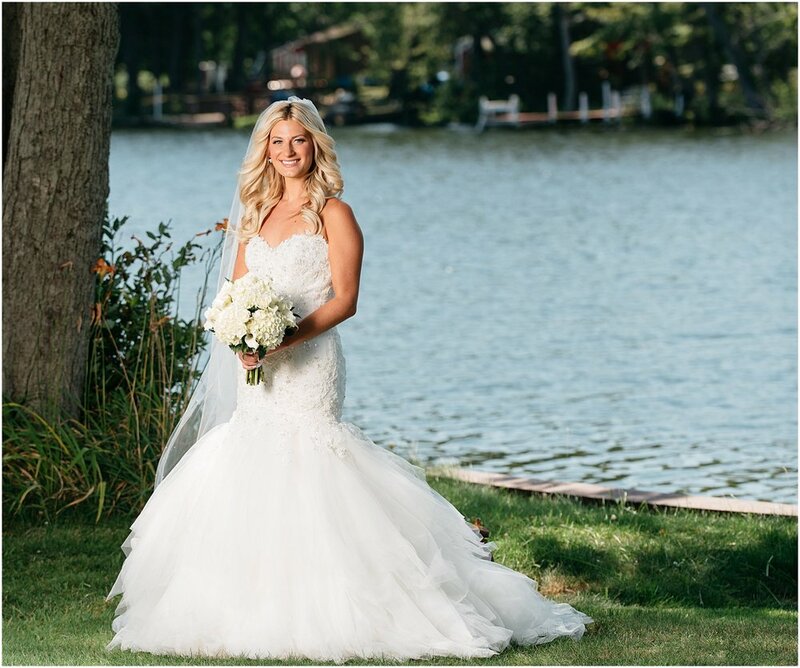 The big day began early in the morning at the gorgeous home of Mike’s aunt and uncle along the Oneida River, where Brittany and the ladies prepped for the big day in a flurry of pink satin, hairspray, and mimosas. 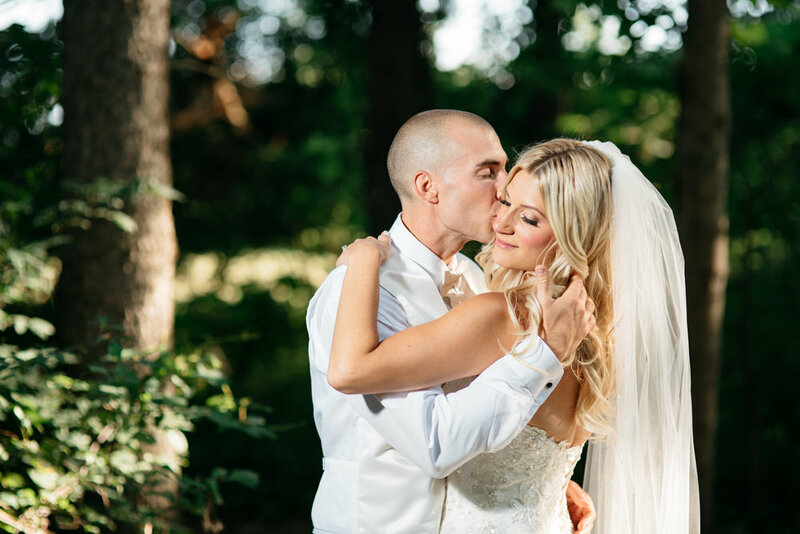 The bride looked stunning in her mermaid gown adorned with sparkling gemstones with a full tulle bottom and long veil, while her bridesmaids looked “peachy” in their floor-length, summer-hued dresses. The ceremony took place at St. Patrick’s Church in Syracuse New York, where Mike first laid eyes on his bride-to-be as she walked down the aisle, which was strewn with white rose petals. 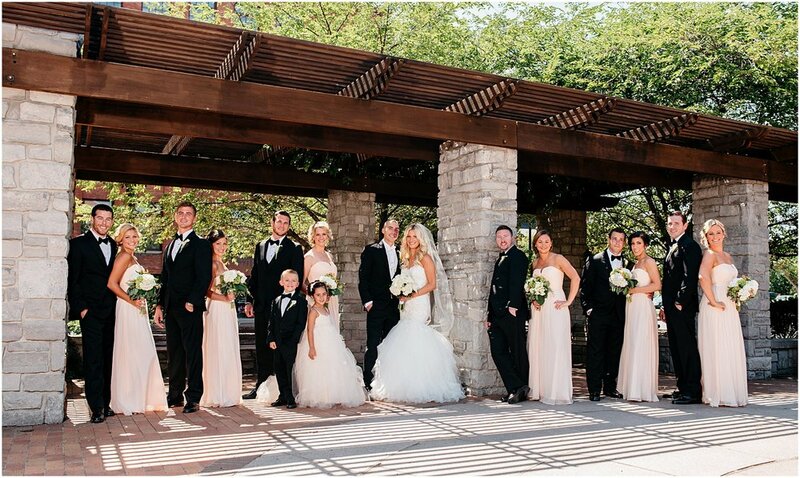 Following the ceremony and formal pictures with their families, the new Mr. and Mrs. (along with their bridal party) headed to Franklin Square Park, where I had a great time taking photos near the fountain and on the bridge (quite the photogenic group – a photographer’s dream!). The reception was held in the Adirondack room at Dibble’s Inn in Vernon, where I had some competition from the guests getting Instax photos taken snapped for a guest book so the newlyweds had a picture of everyone (something I also strive for). 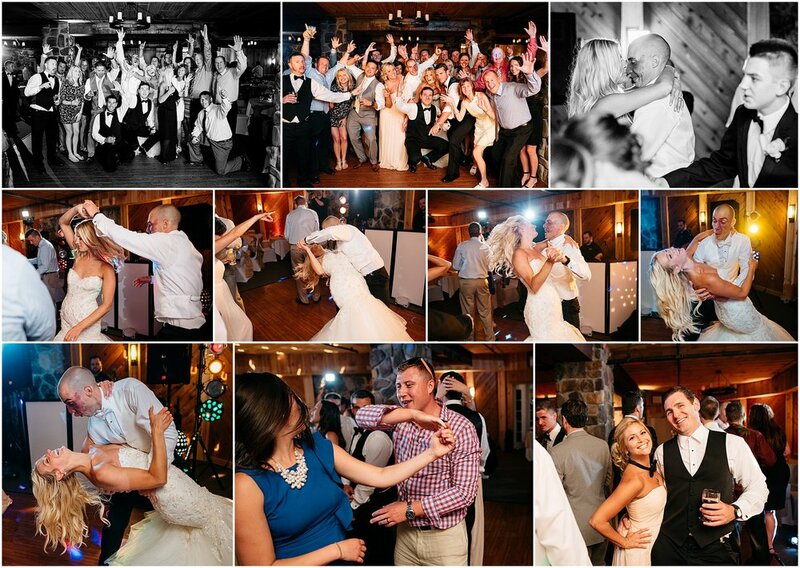 Following dinner, Brittany and Mike danced the night away with their friends and family. 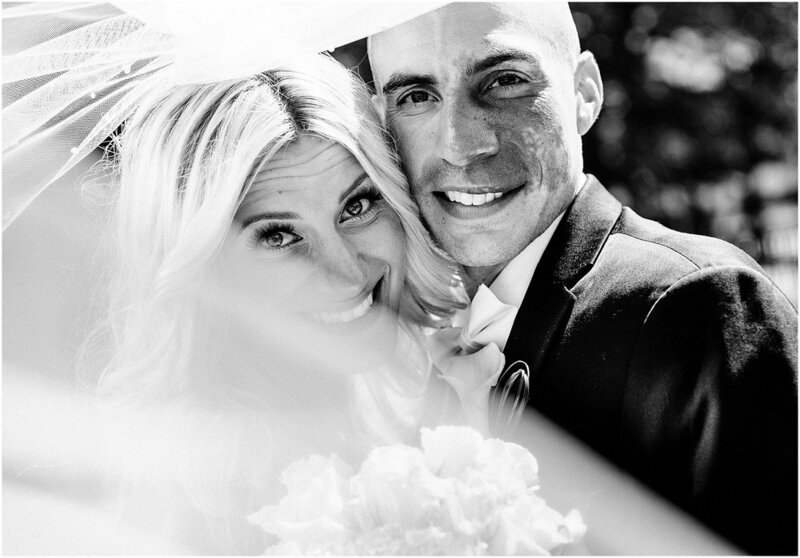 It was another “picture perfect” day full of love and celebration — cheers to the new Mr. and Mrs!